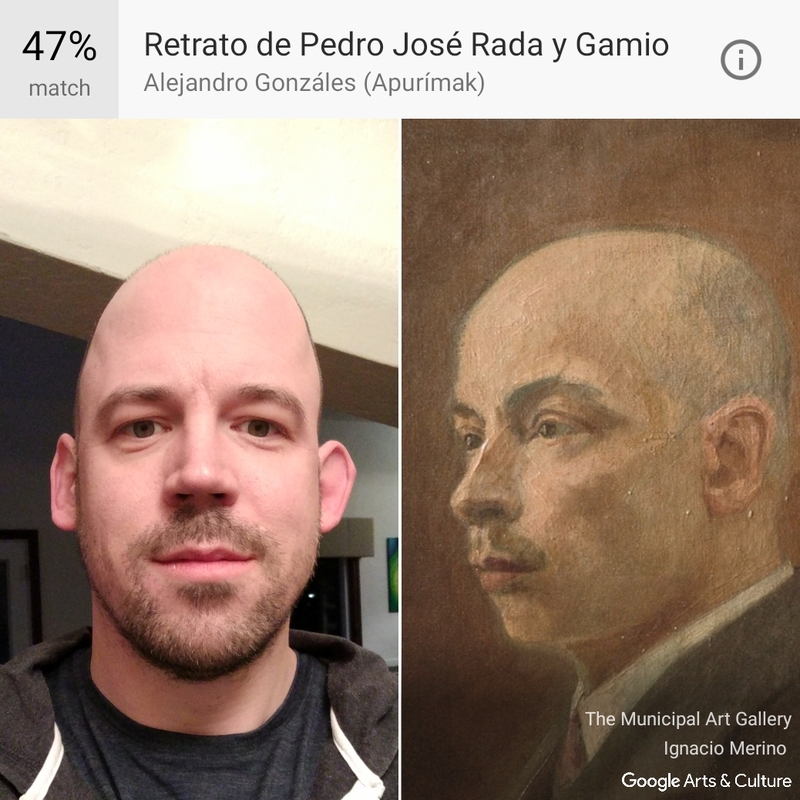 Google's mobile version of their Arts & Culture product has a fun feature where you can take a selfie and it matches you with a work of art. I'm a 47% match with a portrait of Pedro José Rada y Gamio, the mayor of Lima from 1922 to 1925 and prime minister of Peru from 1926 to 1929. I took a few selfies to try and see how many different pairings I could come up with, but this was frequently the match. I'll have to do a repeat after I shave the next time and see if it's taking facial hair into account. "Me and Pedro José Rada y Gamio" by Jeremy Felt, unless otherwise expressly stated, is licensed under a CC BY-SA 4.0 International License.